Brenda Song is a one-time child fashion model and actress and she has acted in over 20 television series from 1994 to 2018 and several other Hollywood films. She has been nominated for several awards for her incredible acting skills; some of which she had won. She holds a black belt Taekwondo and she got recognized in her 9th grade as an All-American Scholar. Brenda’s full birth name is Brenda Julietta Song. She was born on the 27th of March 1988 in Carmichael, California but currently resides in Los Angeles with her family. She has her ancestry from Thailand as her paternal grandparents were said to have emigrated from Thailand from the clan of Xiong but changed their last name to Song after they arrived in the United States. Both of her parents met in the US where they both worked at the time. Her father was a school teacher while her mother is the homemaker. She has two younger brothers; Nathan and Timmy Song. She was academically very bright, thus, did not have any issues being home-schooled in her early years after which she applied for an online degree in Psychology and later obtained another minor degree in Business. Brenda Song started up her career at the tender age of 6 as a fashion model in San Francisco after which, she appeared in commercials of Little Caesars Pizza and Barbie. In 1995, she got her first minor role in the short film Requiem, where she depicted the character of the Young Fong, which earned her a Golden Eagle award by CINE – a non-profit organization. From then on, her journey to stardom began as she started getting more role plays in minor casts until she finally hit it big by signing a contract to be featuring in Disney Channel series. The actress is not only beautiful but she matches her beauty with brains as she has skillfully mined her trade as an actress. She warmed her way to the hearts of the teeming fans after she featured back to back on 7 episodes in the Phil of The Future (2004-2005). She also got to feature in the TV series The Suite Life of Zack and Cody as a spoilt rich kid named London Tipton. The series received about 4 million views after its premiere in March 2005. She has enjoyed more mainstream roles in films such as Wendy Wu: Home Coming Warrior (2006), College Road Trip (2008) and Social Network (2010) which grossed about $224.9 million in the Box Office after its release. She has been recognized several times for her efforts on screen via several nominations and awards which are all testamentto the fact that she has indeed made a name for herself in the entertainment industry. 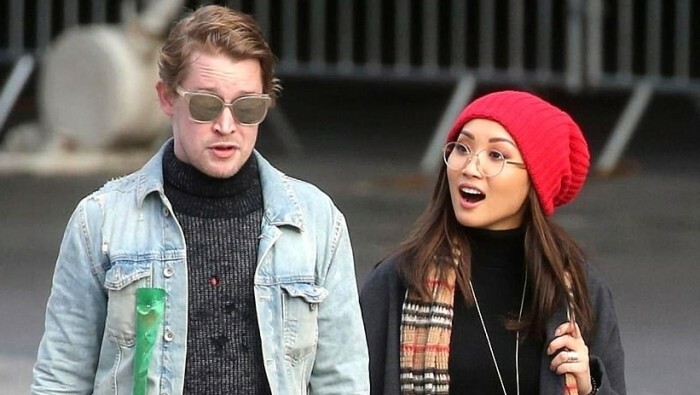 What is Brenda Song’s Net Worth? Brenda Strong seems to have amassed an estimated net worth of about $6 million, which she earns majorly from her works in the films and television series; an indication that she is really done well for herself. The beautiful actress has had a long dating history. She has been in different relationships and at different times. Some of them are, Raviv Ullman a co-star, in Phil of the Future, Aaron Musicant, Jesse McCartney, Jason Dolley, and Joe Jonas. Flo Rida the rapper, was also rumored to have dated the actress briefly in 2009 but they did not last long together; as she later moved on to Trace Dempsey Cyrus – a musician and a bassist, whom she dated for about a year and few months and they even got engaged but they never made it to the altar. They were together from 2010 to 2012. The former Disney actress is still not married and does not have a husband yet, though, she has been linked with one of the most successful child actors, Macaulay Culkin whom she started dating in October 2017. The couple met on the set of Changeland and ever since are still waxing very strong till date. We wish them both the very best and hope they will get married someday as they seem so good together. Bren stands at about 5 feet 2 inches and weighs 52 kilograms. She has been attributed with a husky voice; dark brown eyes and dark brown hair color.